Here's a crazy combo guitar. 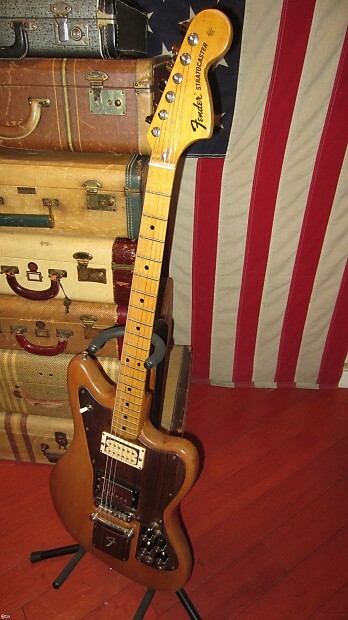 A vintage original 1960s Fender Jazzmaster body with a circa 1973 Fender Stratocaster neck on it! 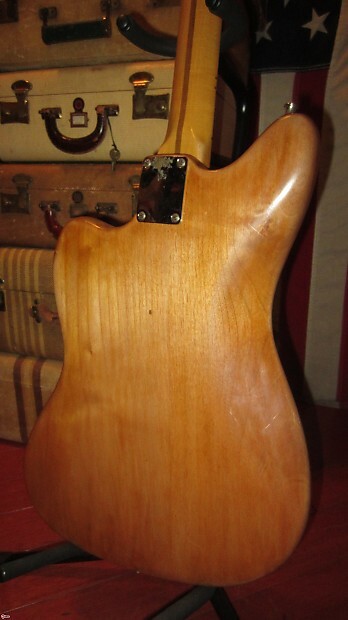 Neck is in good shape and plays great. 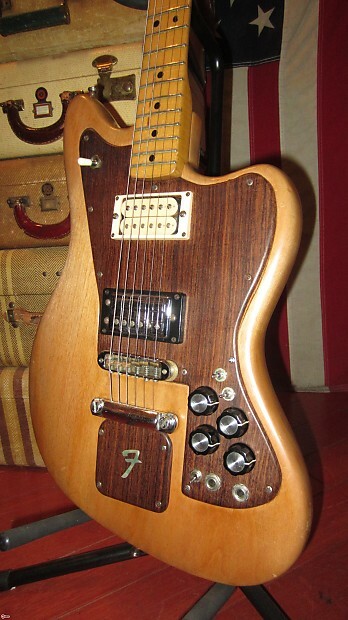 Pickups are a Guild humbucker in the bridge position and a Dimarzio type humbucker in the neck position. It's wired way cool with two outputs for stereo and mono options. Bottom output is the bridge pickup only. Top jack is for both pickups. 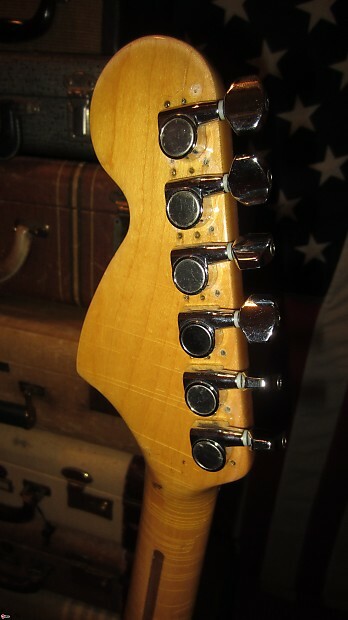 Switches in front of the knobs are coil splitters for each pickup. Switch above jacks is a phase switch. Guitar is remarkably versatile and you can get lots of tones out of it. 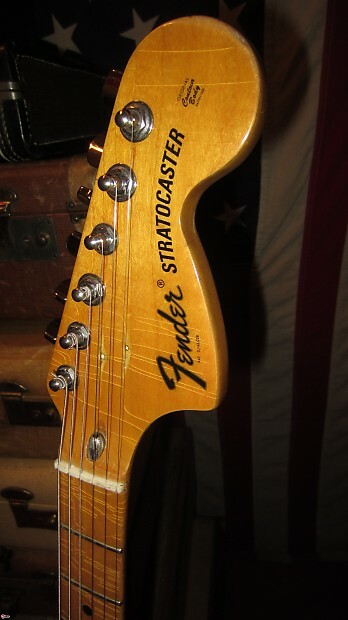 Tune o Matic bridge makes for a guitar that stays in tune and intonate well. Comes with a gig bag. You will never find another one of these! We use Fedex ground for shipping. We can work out overnight shipping on a case by case basis. Buyer pays all shipping charges. 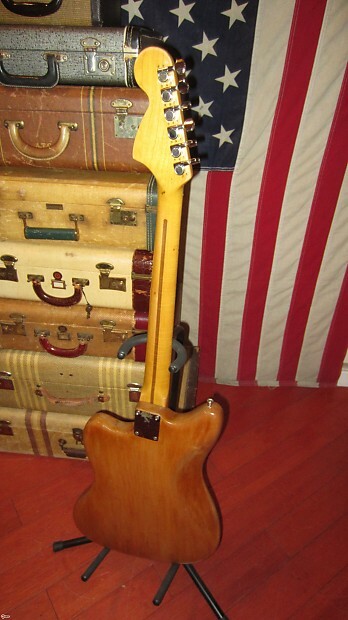 Please understand we are dealing used and vintage instruments, not new ones. All merchandise purchased in store is in used - as is condition. All sales final. The only exception is internet sales. Please make sure you get an in-hand description for guitars purchased via the internet. There is a 24 hour approval period on internet sales. After 24 hours, no returns. If we agree to a return, as in an internet sale, instruments must be returned in the condition they were sent. Shipping costs will be deducted from the return, and buyer will assume these costs. If we accept a return there will also be a 5% re-stocking fee. If there is an exception made on any return over 24 hours, there will be a 15% re-stocking fee to the customer. No returns whatsoever on guitar parts.